Do you have an environment for your kids to become more creative? There are ways to start training your kids to be more engaged in school work and find a passion in a subject when you have a comfortable environment for your child. A great way to set your child up for success is to start with finding them cool and awesome kids art table for expressing their creativity. If you want your kid to have a bright future, then its always a good idea to create an environment where your kid enjoy subjects like arts and craft. If you incorporate arts and crafts into your child’s life, it can have a lot of benefits, such as improving motor and coordination skills, language development, creativity, decision making and critical thinking, and academic skills. The idea behind each craft is to help your child hone in on developing their feelings, their thinking, and their coordination skills. We strongly believe that your child should have a fun area so they can continuously enjoy arts and crafts, and in with that regards, we have come up with a list of best artist or easel desk with storage that we believe can excite your child for years to come. 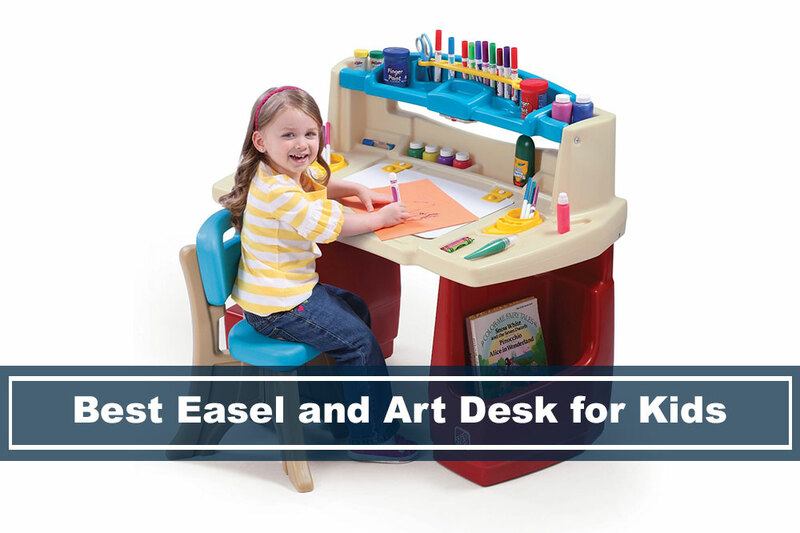 The first on our kids art desk is the Step2 Deluxe Art Master Kids Desk. 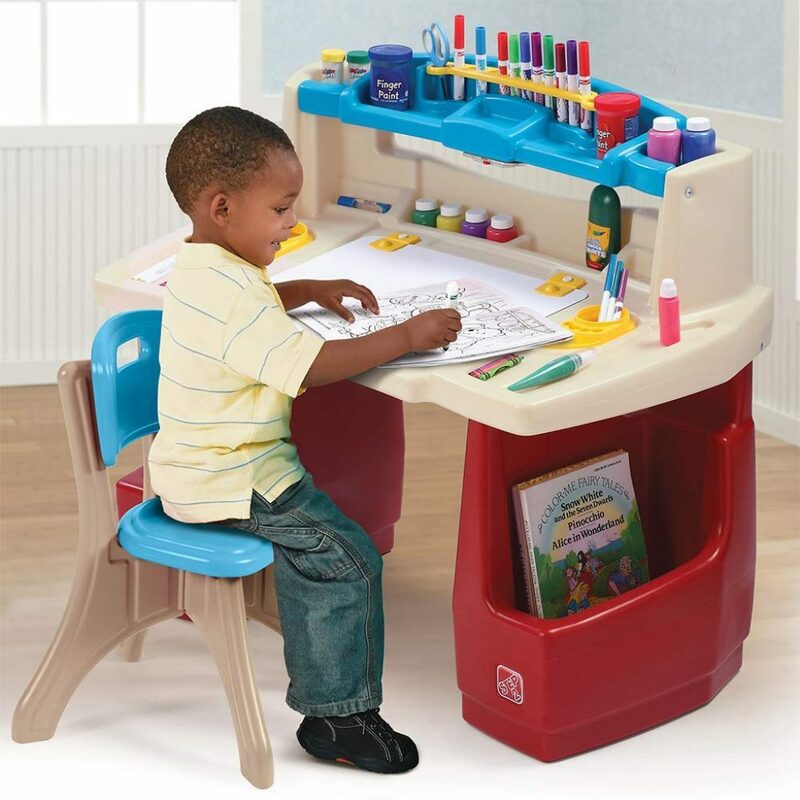 This complete art desk with chair set has a lot of storage room, and a lot of places for your kids coloring supplies. It has a second level for organization, helping you keep all your kids art supplies in one place, for easy reach. The Step2 Deluxe has a dry-erase writing surface area where you can easily wipe it clean. Furthermore, there’s extra storage under the dry eraser pad, helping your child stay organized and decluttered. In addition, the art desk furniture has a push-button light that only request “AAA” batteries. The desk also includes a chair for kids 3 years and up. You need a lot of storage. 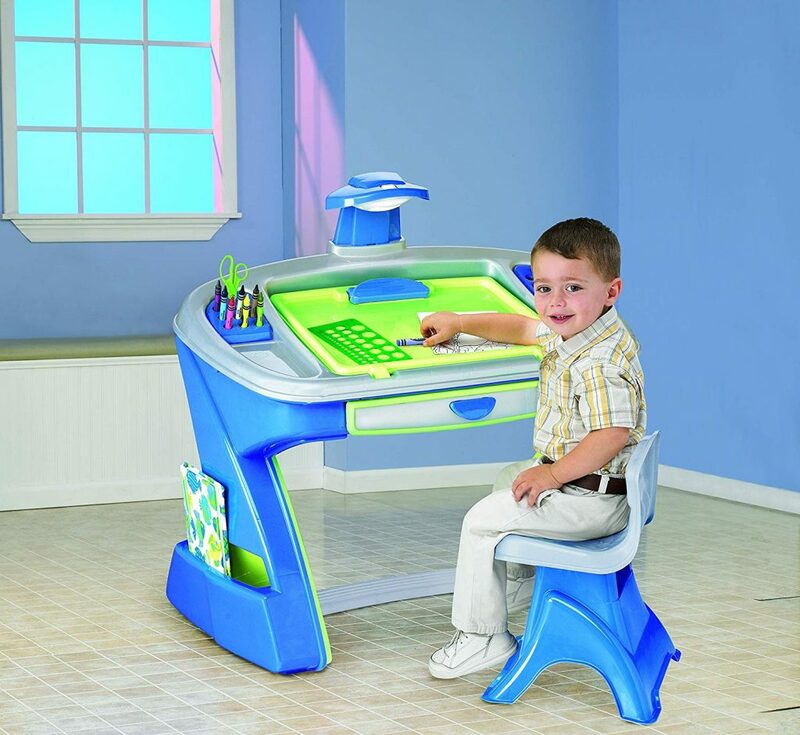 You want a really adjustable kids desk that has a lot of functioning features. you have multiple kids who would fight over this desk. The perfect children’s art table made of wood composites. This long bench table has a lot of neat features that are great for children ages 3 to 8 years old. 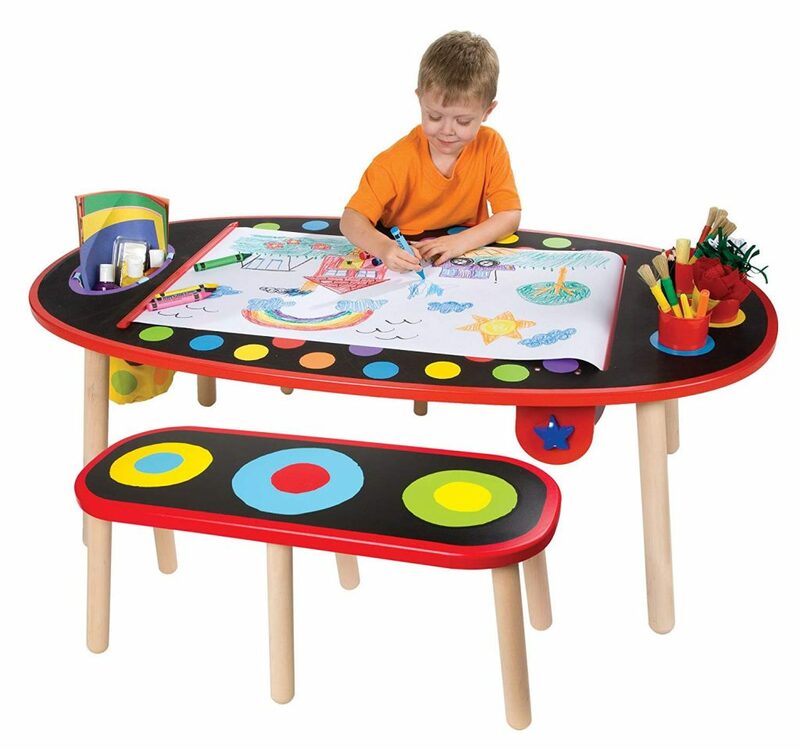 When it comes to KidKraft’s art table, you’ll be getting quality furniture that will last a long time. The table includes paper roll and two plastic cups with lids. The paper roll is stored under the tabletop and can be moved by twisting a knob. The two plastic cups are handy when it comes to painting, it keeps your kid’s art mess free. There’s also storage on both sides of the art desk, giving you and your children ample room for all their paints, brushes, and any other supplies they need to stay creative. A unique feature that this art table has over others is the drying rack. This helps your kids’ artwork dry without getting it messed up when they’re done painting. You need ample storage space. This is another great art desk easel made from Step2. This specific art center has everything your kids need. It comes with a double-sided dry-erase whiteboard and a chalkboard. The art center is a 360-degree art playground giving your kids the imagination it requires to keep them busy throughout the day. In addition to the whiteboard and chalkboard, this desk easel has a bench where they can sit down to create their masterpieces. There is a lot of storage space too where you can keep all your kids’ art supplies. These storage compartments can encourage your kids to be organized and keep everything nice and tidy. The art center’s storage can be used for coloring books, notepads, painting supplies, markers, and much more! You don’t have too much space at home. Your child is not too much into art. This desk doesn’t have as much storage space as Step2 Deluxe, but it is a fun desk where your kids can express their creativity. 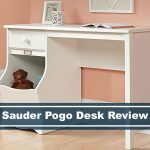 This desk is perfect for multiple kids or even your parents, where they can collaborate and enjoy on having good company. You’ll be able to even have a kids art party with this table. The table is made of sturdy wood and durable plastic cups where you can keep your kids art supplies organized. The surface of this artist table is chalkboard so your child can draw, scribble or make plans on it, and when they’re done, they can simply wash it away, and create new drawings. With this purchase, comes with an 18-inch by 100-foot paper roll, child-safe paper cutter, bright yellow canvas storage bins and more! This can be great in school room settings, or even in rooms where you host art classes. This table is recommended for children 6 years of age and older. you have more than one kid where they can collaborate and create amazing art. has a kids that are 6 years and up. doesn’t need too much storage space, but just want the table for creativity purposes. you need a lot of storage room for your arts and crafts material. Really small space to keep this table and bench. This kids art furniture table is another favorite from the customers. This has a desk light attached to the table, and it comes with a chair. Your kid has everything they need to start drawing and becoming a great artist. The table angles to give them maximum ergonomics, and it has storage for their drawings. A drawer on the desk, holders for their drawing tools, and storage on the side of the table legs. 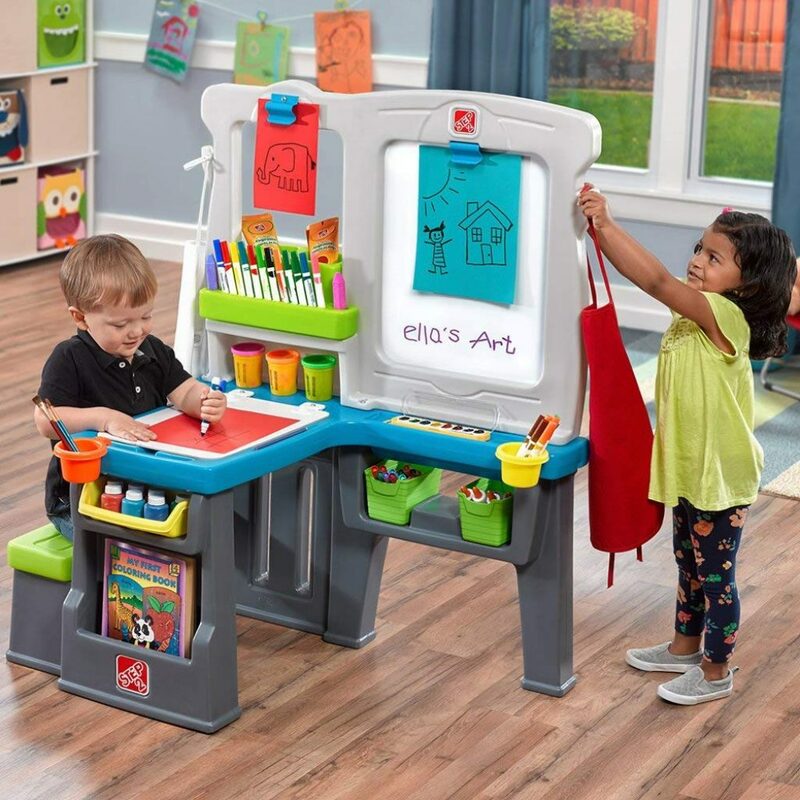 This kids art table and chair set have a lot to offer for the price, which helps encourage a friendly environment for your children to get started into the art world. However, this kids art table isn’t as sturdy as Step2, but for the price, it is decent enough to get your kid started in the world of arts and crafts. Needs a decent amount of storage space. You’re looking for a sturdy and long-lasting desk. Needs more options for art supplies. You want to find an art desk that can withstand some damage because let’s face it, kids can sometimes be reckless. Most of these art desks can handle a lot of abuse and should last you a very long time. Most of the desks are made of durable material where they’re kid safe. These products are easily assembled and manageable. 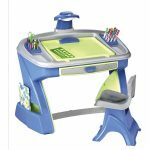 These children’s art desk are also easy to clean which is a plus for those messy and artistic individuals! 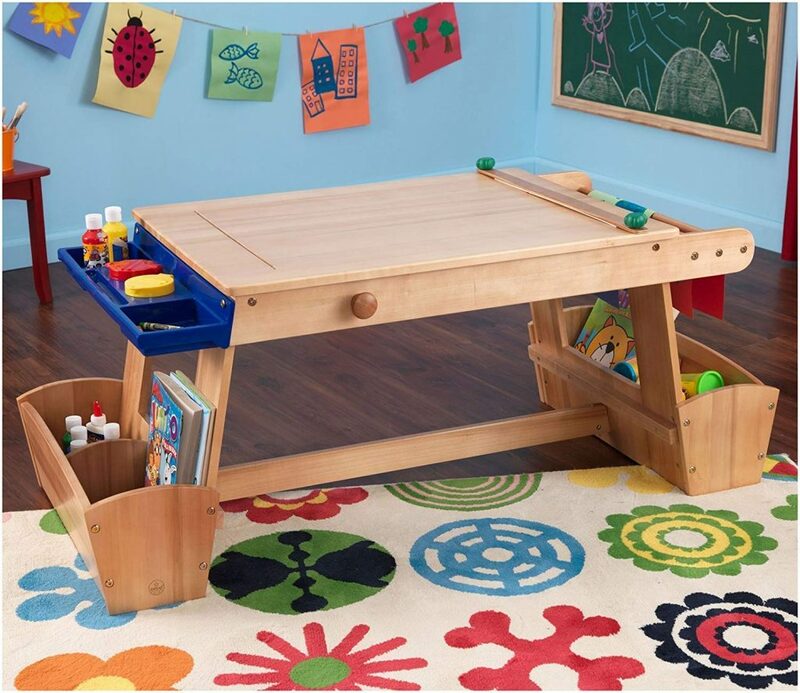 You’ll want to look for an art desk that has a lot of storage for all your kid’s tools. Although, if you don’t have storage, you can definitely create your own storage unit with shelving, it would be nice and organized for your kids to easily grab all the tools they need to be creative. You wouldn’t want your kids to go back and forth between storage cabinets, because sometimes art can get a little messy. Some of the kid’s art table has a paper roller too for easily getting new paper whenever needed. These are some of the neat features that you can look into when looking for an art desk. 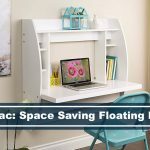 This Floating Desk by Prepac Saves You Tons of Space!